We have been talking a lot lately about winemaker Dave Phinney, The Prisoner, and Orin Swift Cellars. The reason is because he is fabulously successful, much like Bill Belichick of the New England Patriots has been in the NFL. Dave, like Bill, somehow manages, year after year, to put an outstanding product on the “field,” making everyone else sit up and take notice. Phinney’s latest venture is the Locations wine brand. The concept is simple: make only one wine from one location, the best possible wine that location can produce. The first Locations wine was produced in 2009, from the Roussillon region of Southern France, a Grenache blend named D66, and the concept took off from there. 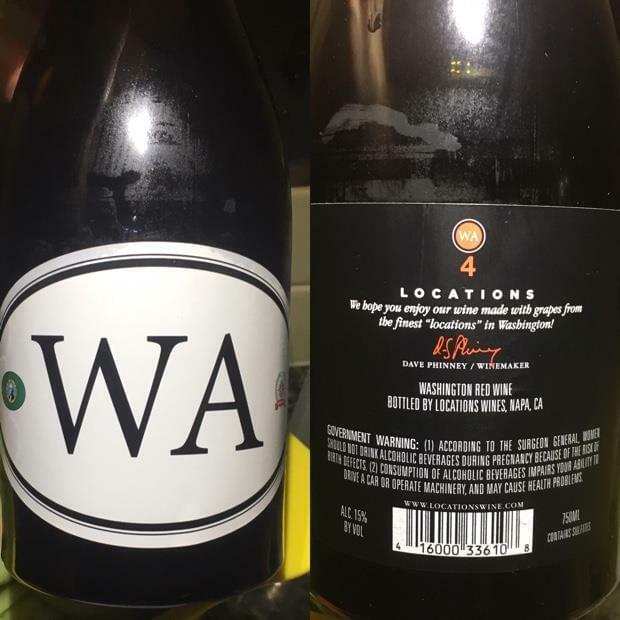 Locations WA is brimming with aromas of blueberries and earth, and rich plum and chocolate flavors. This was a much more layered wine than I expected! After the fruit flavors hit, a long finish of licorice and tea; deliciously complex. On my five-cork scale based on taste and value, Locations WA from Orin Swift Cellars gets 3.75 corks! You can find it for $19.99 at The Party Source, and about $5 more elsewhere – which knocked it down a quarter point.